To avoid the annoyance or inconvenience of losing data while editing budgets - either from blackout, power failure, or even user error – Calxa, by default, saves a snapshot of the budget you are editing every 10 minutes. 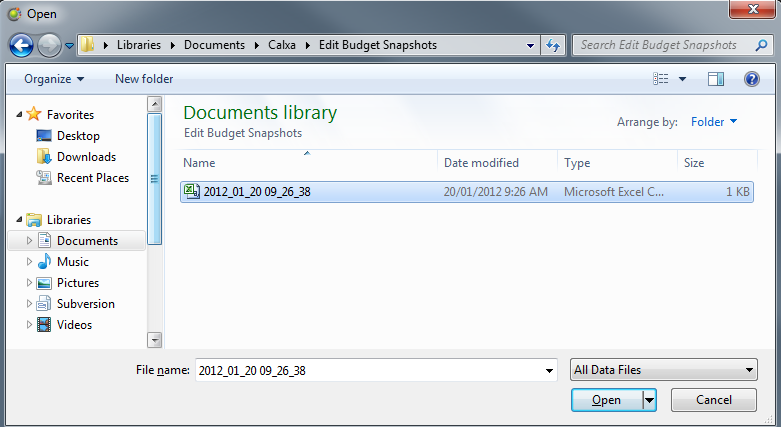 The snapshot is saved in your Documents\Calxa\Edit Budget Snapshots\ folder. The interval between snapshots and location where the snapshots are to be saved can be modified to suit your needs – this help note will guide you through the process of editing those values, as well as how to restore a snapshot should that be required. The budget snapshots are saved as text file with the following file name format. Year_month_day hour_minute_second. If you encounter an issue where you need to restore your budget you can restore to the snapshot point by importing the saved text file. 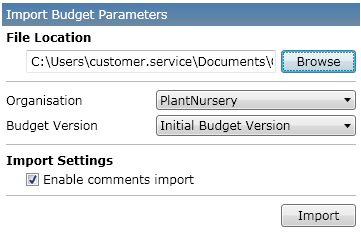 Ensure that the Organisation selected is correct, as well as the Budget Version that you wish to import the snapshot into.